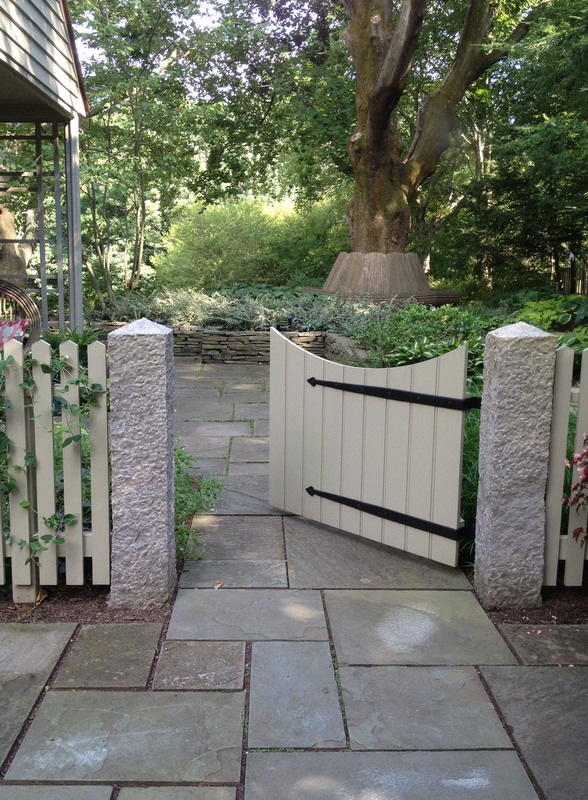 This project features a custom design bench and gate. 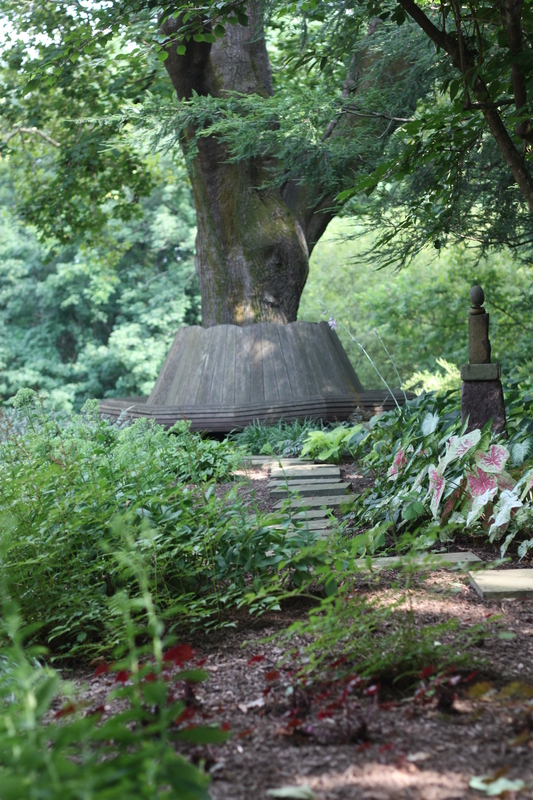 The project team included architect Lynn Taylor Associates, General Contractor Jim Mulloy, Landscape Contractor Andy Fratrick, and Stone Mason and Sculptor Steven Snyder. The Armitage Road Residence has encompassed a series of project areas over more than 20 years. The most recent project involved the siting of a garage/barn, which was complicated by a host of environmental restrictions and constraints. The garage was placed directly in front of the main house in such a way that desirable views from the house were carefully framed and an entirely new garden space was created. New walls were added to a patchwork of stone foundations and new paths, fencing, and gates were introduced to redirect pedestrian flow to the formal and everyday entrances. 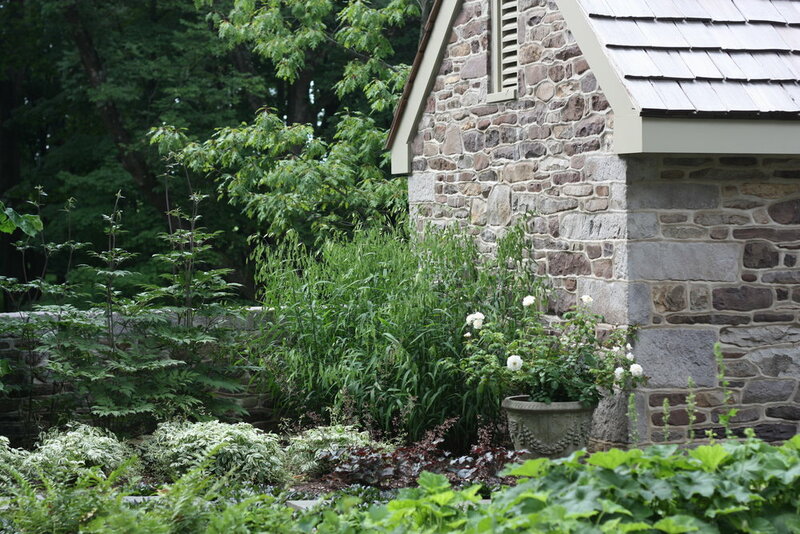 A massive hemlock was carefully preserved, and beneath it a richly textured garden of low shrubs and perennials was introduced. 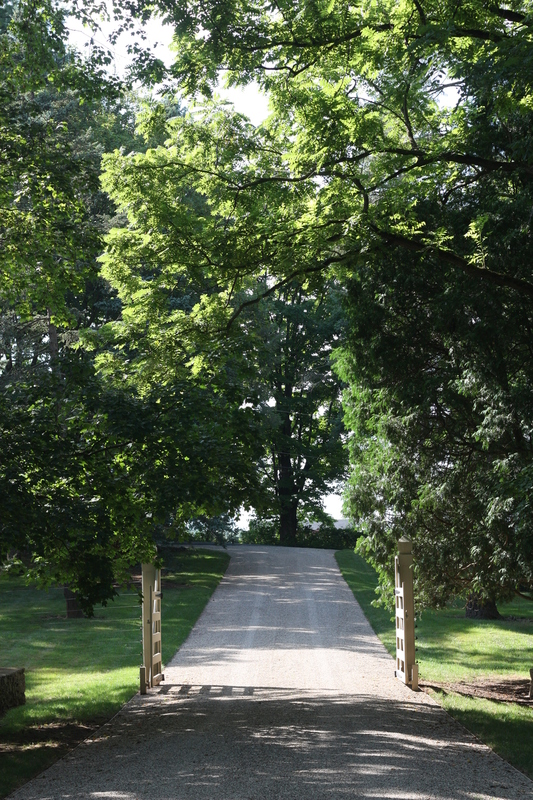 Other past projects at this residence include a custom arched bridge over a deep ravine and a unique half moon shape swimming pool.